Stellar Fountain returns this week by welcoming Paul Kardos to the label for his debut EP. His progressive sound has been making waves in the underground of late with DJs like Hernan Cattaneo and Nick Warren taking notice. Fresh off an appearance on the Perspectives Digital ADE Sampler the Hungarian artist now makes his much anticipated Stellar Fountain debut with ‘Be No More’ alongside remixes from Alex Vidal and Rogier. The title and showcase piece leads the release off and shows why someone like Darin Epsilon took an interest in his music. From his early releases on OLD SQL Recordings to recent appearances on Soundteller and MNL Paul’s sound has progressed a lot. 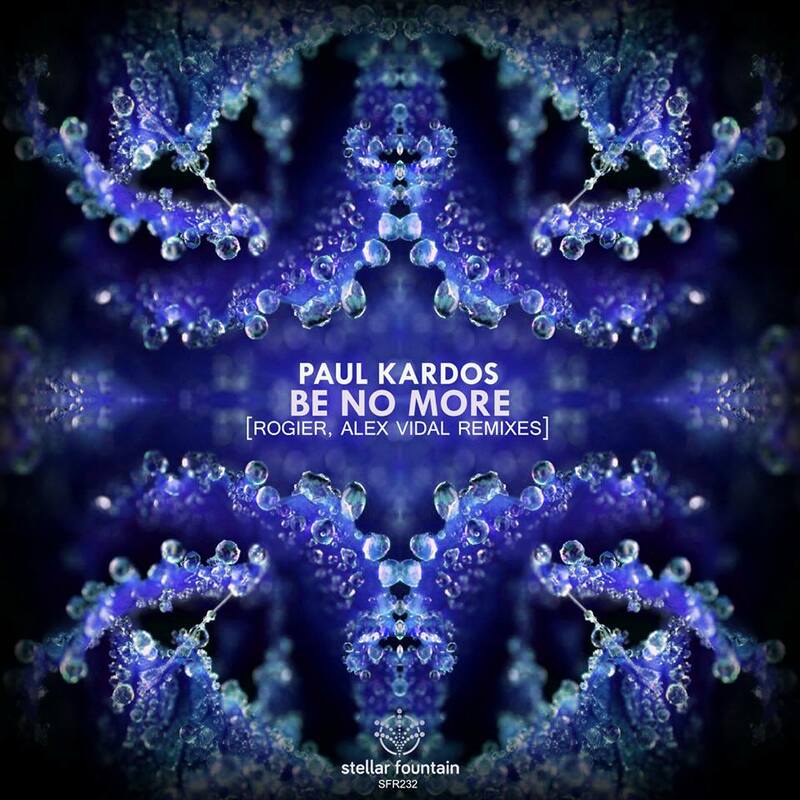 On ‘Be No More’ we get a dreamy, groovy cut that fits nicely with the Stellar Fountain ethos. A top a rugged groove is a wealth of trippy effects and gorgeous atmospheres. It’s slow building growl delivers some tense moments over the mammoth twelve and a half minute running tune, which is absolutely justified. A deep space odyssey for the ages to say the least and just a bit epic but worth every second. Massive stuff from Paul. The lone interpretation of ‘Be No More’ is provided by Alex Vidal who is making his 13th appearance on the label. Noted for his club friendly productions the Spanish artist trims things down just a touch for great dance floor appeal. The groove has been reshaped into something more defined while the scope of the mix stays true to the building themes and rugged electronics. Down to around eight minutes it’s got that grandiose appeal that the original has in spades but with just a bit more club sensibility and a solid break doesn’t hurt either. Great remix from Alex. The companion piece ‘Nourishments For Your Soul’ comes in smooth and wonderfully hypnotic. Also a bit of a journey at 10 plus minutes there is a catchy melodic theme which develops nicely over the first act with some lovely vocal elements thrown in for good measure. A stripped second act sees a melodic vocal stab play nicely off the musical themes before a quick build brings the drums back, as the vocal storyboard progresses further during a feel good third act. There’s a great vibe in this and ‘Be No More’ which you don’t get from a lot of progressive music these days. Two beauties from Paul. The release concludes with Rogier making his third appearance on the label and giving ‘Nourishments For Your Soul’ his own trademark makeover. Known for warm, full grooves that’s exactly what he delivers here and the lead elements are a perfect fit as well. A gaseous break with prominent vocal styling’s seems appropriate and the end result is that radiant glow that Rogier has become so loved for. It’s a gorgeous moment and one which sets up a fuller third act complete with smooth lines and lovely melodies. Another summery sounding gem from Rogier and a great way to close the release out. Awesome stuff from Stellar Fountain. Don’t miss it.